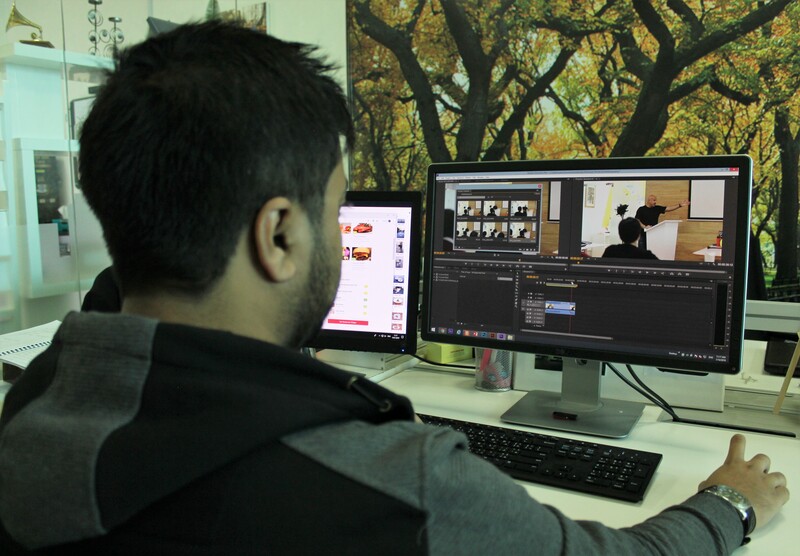 Video marketing is gradually becoming a buzzword in the digital marketing space. And I know you may have come across one or two articles stating how you can increase your marketing ROI using video content or video marketing as it is popularly called. But why is it so? And how is video shaping the digital marketing industry? The primary goal of marketing is to improve current ROI and position the business for recurring growth. This could be increased traffic, lead generation, or brand exposure. Whatever the aim is, you want your audience to take action that will benefit your business in one way or the other. With videos, firms in various industries are seeing better ROI from marketing spends. A study by Online Publishers Association reported that 80 percent of audience remember the adverts they viewed in video format and 46 percent of the same audience reported that they take actions after watching a video. This result is possible because videos are attention-grabbing. While an average adult’s attention span is less than 10 seconds, humans are curious creatures and would often take more than 10 seconds to view a video, if it is captivating from the first second. Statistics show that 37 percent of viewers often stick till the end of video content. In the same vein, consumers are 27.4 times more likely to click on a video advert than they would click on a static banner ad. Finally, video ads are cost-efficient and more effective. Google display ads on YouTube costs less than $1 per view (more than 30 seconds), while on other social media channel it can be way lesser. It is estimated that by the end of 2021, over 80 percent of web traffics will come from video views with click-through rate from videos predicted to be as high as 200 to 300 percent. Many businesses out there understand this and are already tapping into the benefits of video marketing. You can still position your business to be ready for this emerging trend. Video marketing has been around for a while. But why many industries like retail fashion, software as a service (SaaS), and even the health sector were early to the game, investment firms, immigration consultants and many B2B sectors are still skeptical about the efficiency of video as a marketing strategy. However, results have shown that video is the future of digital marketing irrespective of the industry or target audience. And it is not too late to get started. 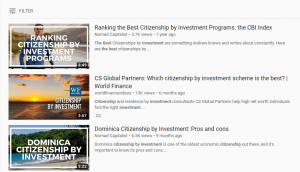 The image above shows some citizenship by investment videos that have garnered thousands of views with a few months. A clear indication that your audience is interested in video content. Video is an effective way to not only engage and educate your audience but also a powerful tool to get them to buy into your ideas. The good part is, there are multiple video marketing strategies you can utilize to figure out what is most suitable for your firm. Vlogs, testimonials, presentations, adverts, animated demonstrations, and many others work well for immigration consultants. You may also be interested in this article: Is Educational Content Important for a Citizenship By Investment Firm? If you need help creating a video marketing strategy that will work for your citizenship by investment firm, contact us today.